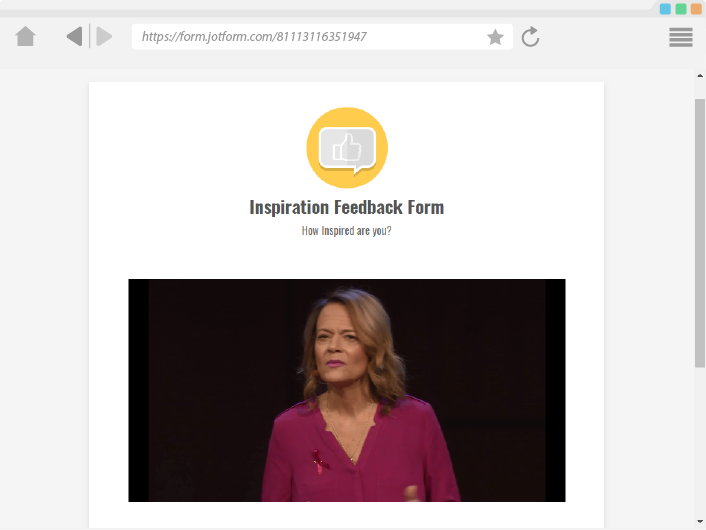 TED conferences bring together the world's most fascinating thinkers and doers, who are challenged to give the talk of their lives (in 18 minutes or less). 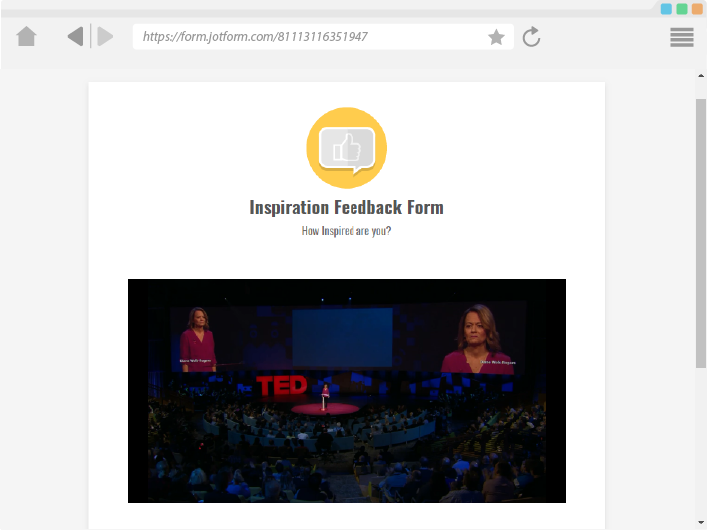 More than 1500 TED Talks are now available, with more added each week. 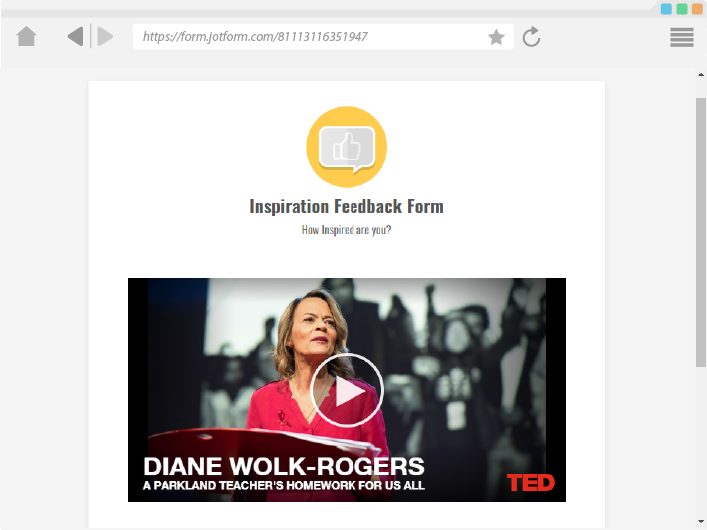 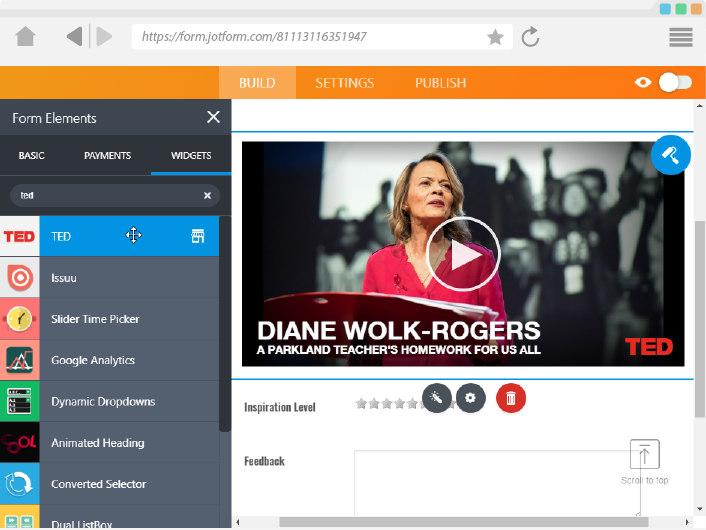 Now you can easily add Ted Talks on your form. 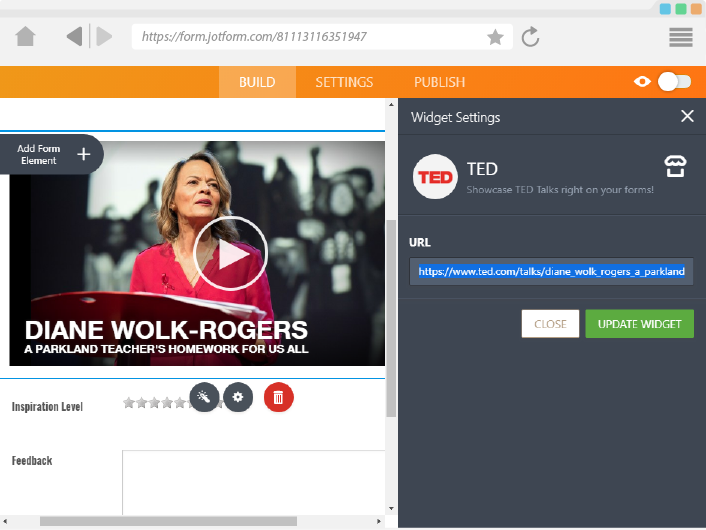 All you need to do is paste the Ted Talk URL right on the widget.